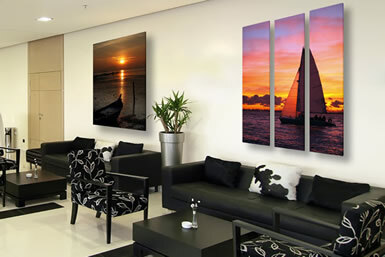 Another innovative idea from Portobello. 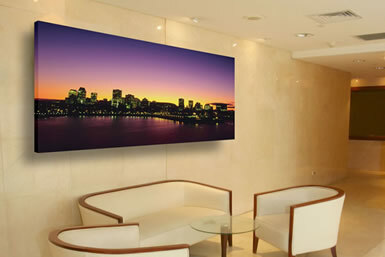 The canvas is stretched onto 1/2" MDF and a unique hanging structure built onto the back of picture enables the canvas to appear as though it's floating in front of the wall! 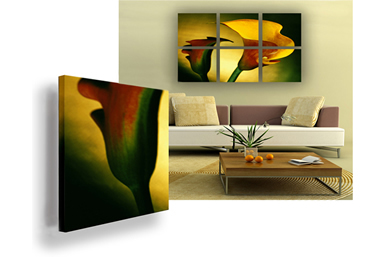 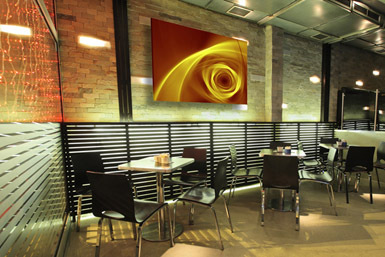 A stunning new visual effect offering a new dimension to canvas art prints. 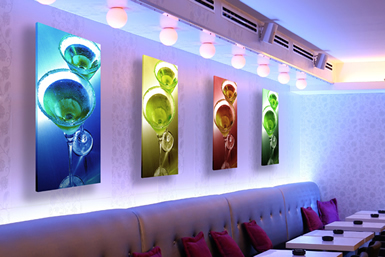 This has proved very popular in nightclubs and restaurants where the canvas has actually been backlit from behind to give even more of a 3d effect.